Great Britain rugby league skipper, Ellery Hanley is awarded the MBE in the New Year’s honours list. 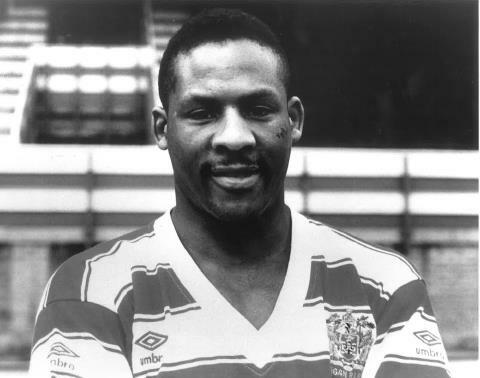 Ellery was playing for Wigan at the time and a few days earlier had been part of a famous victory over bitter rivals, St Helens at Central Park in front of a crowd of 27,000. Other Boxing Day derbies also drew big crowds, with Widnes beating Warrington 32-20 in front of 10,179 at Naughton Park, Martin Offiah scoring three tries for the victors. At Headingley the crowd was 18,350 with home side, Leeds accounting for Castleford 25-18. British Test centre, Tony Marchant had quit Castleford just a fews earlier to join big spending Bradford, who also had signed Test winger, Henderson Gill from Wigan. Castleford were also missing British Test utility back, Graham Steadman who had his cheek shattered in a vicious tackle by Whitehaven forward, Gary Charlton, who subsequently was suspended for eight matches. Charlton had had a brief stint with Gold Coast Seagulls. A few days after the Headingley clash, Leeds signed former Brisbane Easts’ forward, Cavill Heugh from Barrow, where he had been playing under the coaching of fellow Australian, Rod Reddy. On the administrative front, Maurice Lindsay replaced Les Bettinson as British Lions team manager, and landed a new title – tour director.